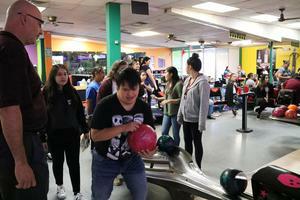 Students had lots of fun bowling for Unified Bowling Day at Incredibowl. Mission CISD will be participating in the Area 1- Special Olympics Bowling Tournament at Incredibowl Entertainment Center November 13th-15th. TAFE high school students will be there cheering them on and everyone in the community is welcome to join team Mission and support our Special Olympians!